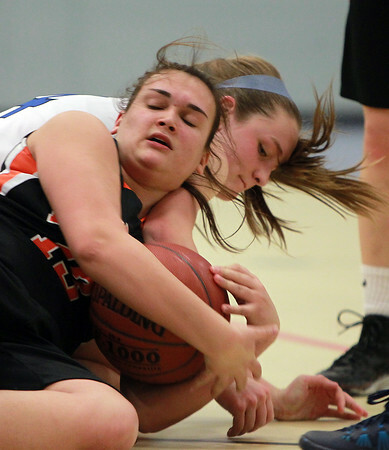 Beverly junior Olivia George, left, dives on the floor as Danvers sophomore Nicole White, right, reaches in to force a jump ball at Danvers High School on Tuesday evening. DAVID LE/Staff photo. 1/13/15.